Since the arrival of the 2nd generation MazdaSpeed 3, we have developed and released numerous parts for many happy customers. After reading through several of your product idea submissions, we are trying to make sure we get several products in the pipeline for vehicles that we may not offer as many products for. 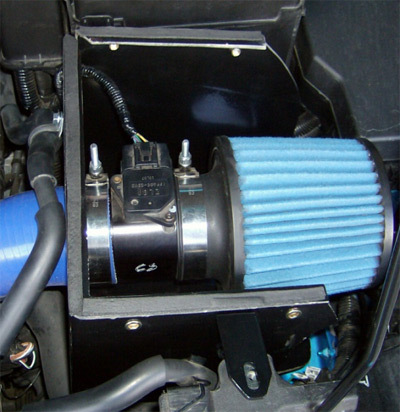 For example, we have had several customers ask for a CorkSport brand Short Ram Intake for the 2nd generation V6 Mazda 6. The picture below shows our MAF housing, which was redesigned to accommodate the slot style MAF sensor that comes with the V6 Mazda 6. The kit will feature our dry-flow filters, 5 layer silicone couplers, stainless steel T-bolt clamps, and full installation instructions. Next up we have our SRI Cold Air Box (CAB) for the 2010+ Mazda 3. Several people submitted product ideas for the CAB and it will be available within the next month. The CAB features fiber reinforced plastic (FRP) with a high temperature automotive grade black gel coating. 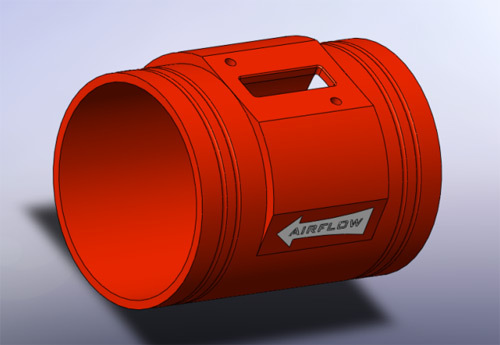 The air box mounts to factory hole locations in about 15 minutes and only requires a 10mm long socket and ratcheting wrench to install. Finally, we are developing our own line of sway bar end links. They will be fully adjustable to match any ride height and specifically designed to pair with our sway bars. Look for more details along with some prototype pictures in the next month or so. Don’t forget, the best way to get what you want is to submit a product idea.